Hard working or lifted commercial vehicles tend to suffer from premature wear of the upper strut mount/ shock absorber bushings. 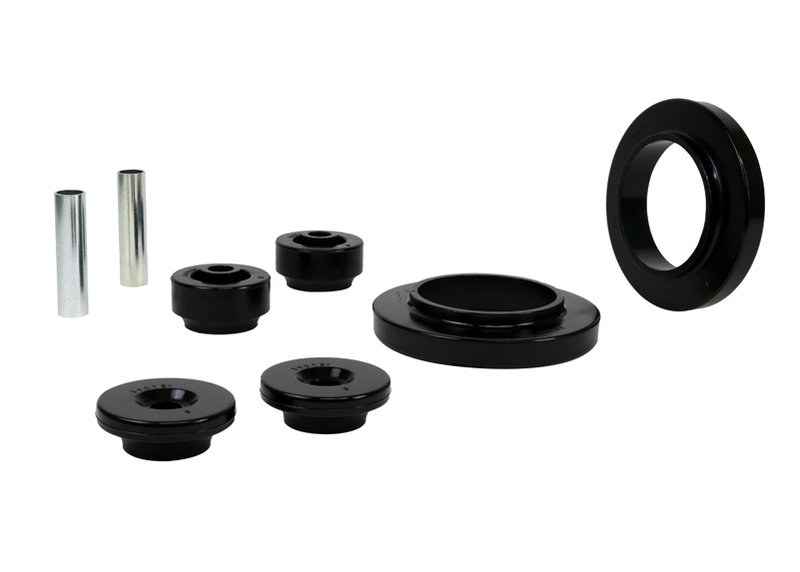 Designed to work with the original OE strut top, each Whiteline kit contains both upper strut mount pads and shock absorber pin bushings to restore the strut mount to as new condition. in/lbs 1.72lbs 16" 8" 4"